Ooohhh! Looks like you can save 23% on all qualifying Shining Light Dolls today! That brings them down to $10 each, with Prime shipping. The discount shows up during checkout. 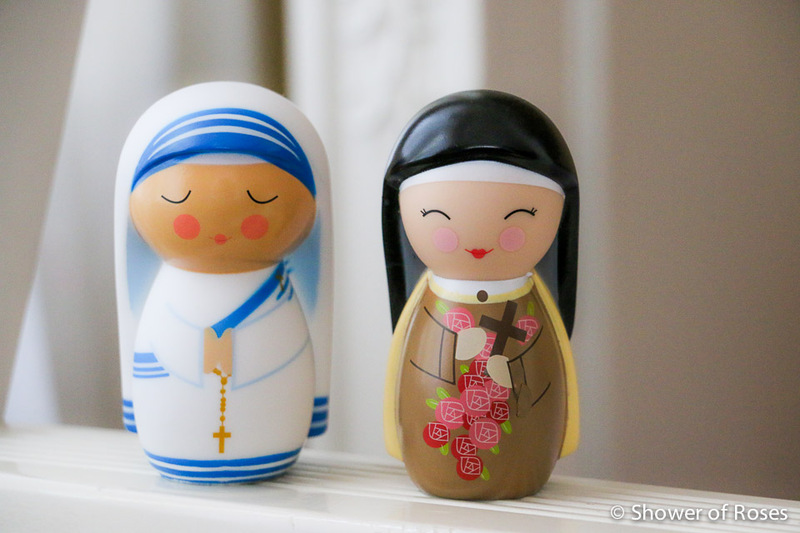 The Saint Teresa of Calcutta (Mother Teresa) and St. Thérèse of Lisieux are two of Rose's favorites. She'll be receiving Our Lady of Mount Carmel for either her birthday or Christmas. If you haven't already, you can also enter for a chance to win your choice of six Marian Shining Light Dolls along with a copy of The Virgin Mary Around the World! A Pilgrimage of Faith (Board Book) in this year's Christmas Giveaway.